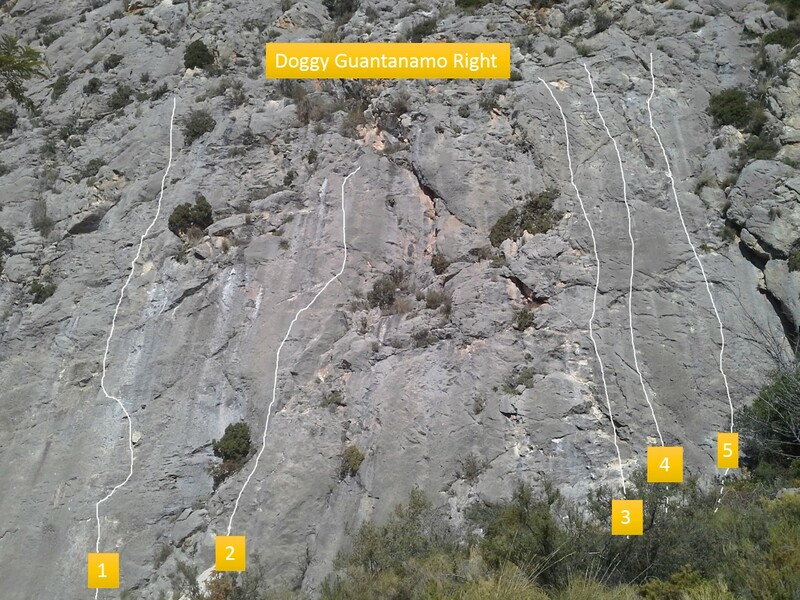 Today we finally release our new topo for sector “Doggy Guantanamo” in Sella. It’s written in English, German and Spanish. 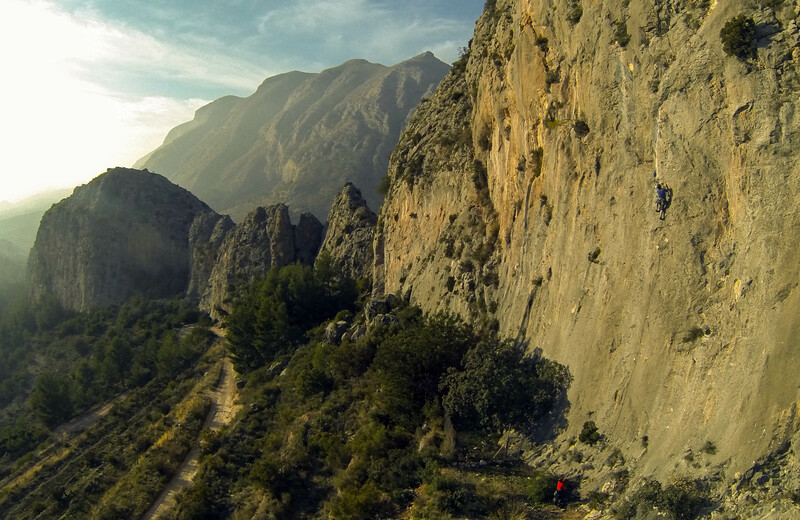 The topo is available for download here. 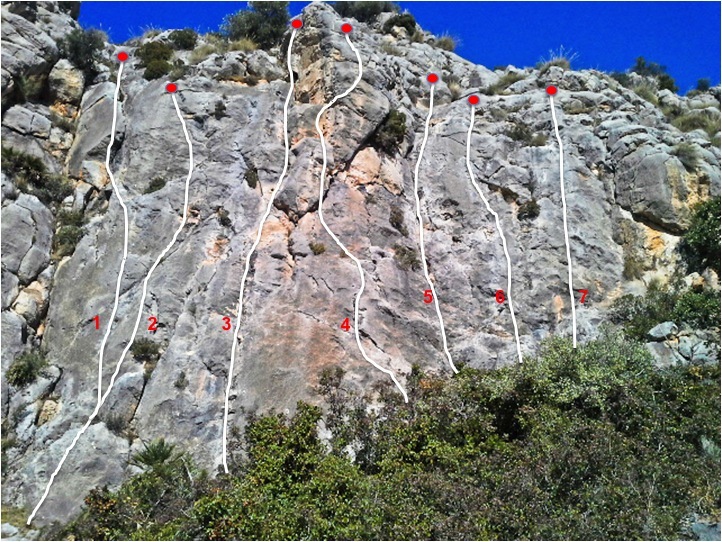 There’s now a topo available for the right part of sector “Doggy Guantanamo” in Sella. 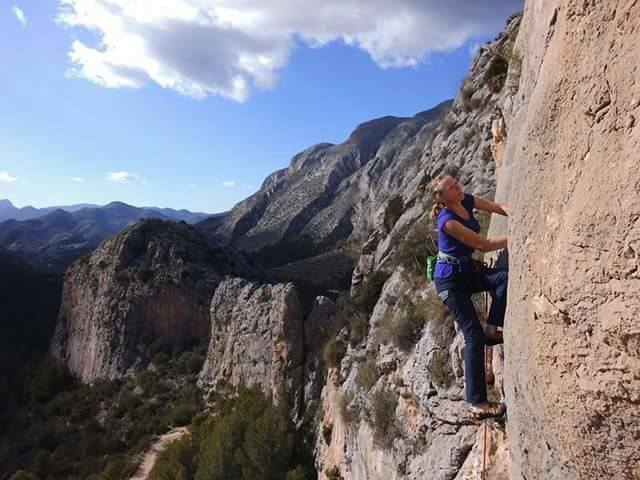 The routes are directly above the parking area of Casa Toni at La Moleta. 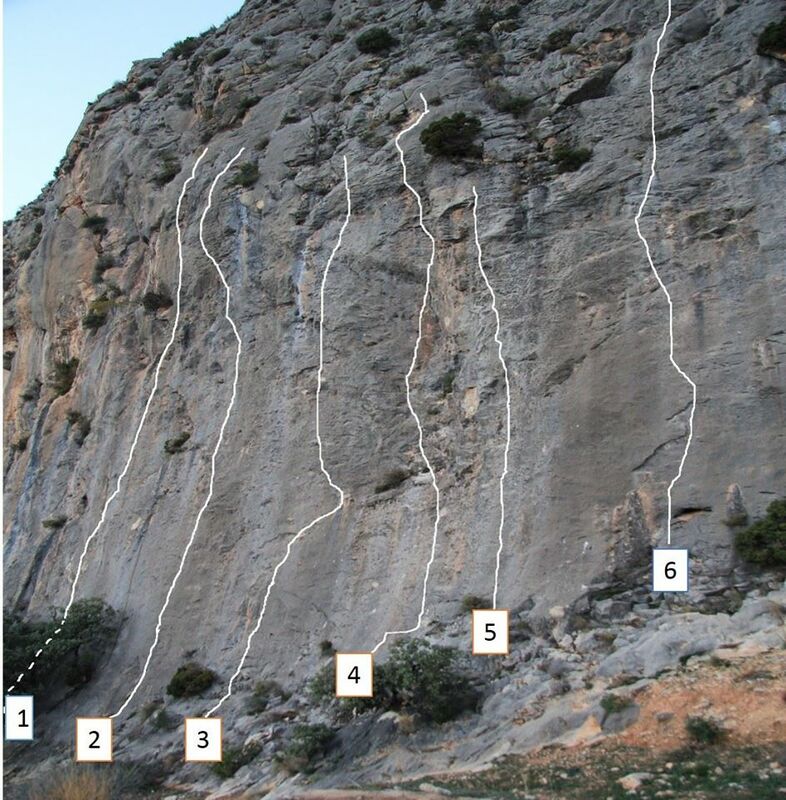 There is also a 6b+ to the left of the shown topo and a further 5 routes to the right, these are all 5’s and 6’s. 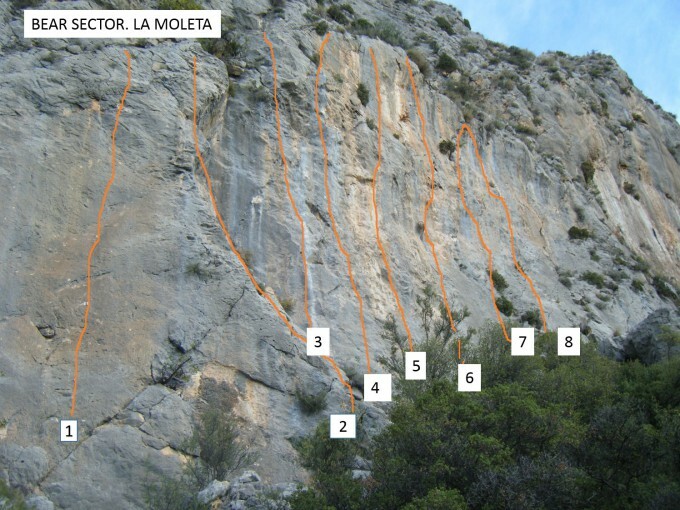 This is a new sector beyond sector “Final” at La Moleta in the Sella valley. It is possible to drive up to the yellow house at the top of the hill and parking is available, alternatively it is a short walk up the hill.